The clever valve automatically detects for schrader or presta. Air bleeder for 2-3psi fine air pressure control. 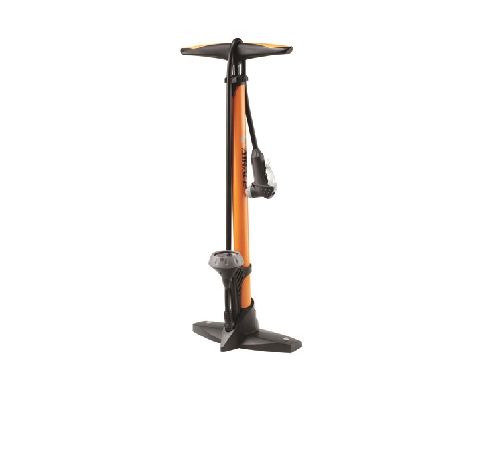 Durable steel barrel and base; Maximum pressure: 160 psi. Weight: 1191g.